Ever watched the movie 10 Things I Hate About You? I’ve seen that movie in my High School days, yet I can still memorize the poem of Julia Stiles on the things that she hates with her boyfriend. While writing this, I’m singing, “I love you baby … can’t take my eyes off you.” haha.. I really don’t know why I woke up so nostalgic about this movie. However, it made me reflect on things that my husband will hate about me, and so I list some of them here. 1. I love the Comfort Room more than the Living Room. In all honesty, people who knows me say that I stay in the bathroom for more than an hour. What am I doing? Taking a bath and SLEEPING!!! Yes, I sleep in the bathroom for hundreds of time since Elementary and even now that I am a professional. Mamang used to knock at our bathroom door just to check if I’m taking a bath or sleeping. So, to my dear husband, know when to knock and wake me up, okay? 2. I don’t regularly use spoon and fork AT HOME. I grew up with the boys; my Kuyas would just cut a banana leaf from our backyard, wash it, and that will be our plate. No spoon and forks just our bare hands. 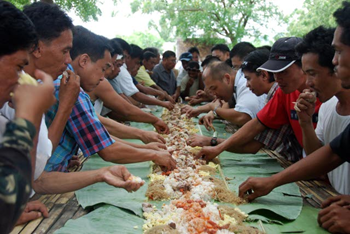 Every day was a boodle fight back then, and I love it even until now. 3. My pillows have names and I can’t sleep sound without them. I thought after I graduated High School I won’t be the same girl with the love for pillows, but now even at 23, my pillows still have names. They aren’t my security stuff or whatever, I just can’t sleep right without my more than 10 pillows and stuff toys around me. 4. I’m not into television. I’m not just into it! Please understand. I love the news but not the variety shows, telenovelas, talk shows, etc. I can watch movies with you dear husband anytime but please don’t ask me to watch teleseryes with you. 5. I have fevers every month. Seriously? Yes! Since my childhood days, but it feels normal for me already. However, there are days when fever and stress collides that it makes me knocks down to my bed. I’m a nurse though, so I can nurse myself. Just try to understand and do your best to take care of me dear husband when I have those high temperatures. 6. I have insomnia though sometimes I felt narcoleptic. It’s really hard for me to fall asleep. I believe, the worst thing I did during the peak of my insomnia is that I clean my entire room at 3 a.m. just to make the time staying up worth it. But, even though its hard for me to fall asleep, I can also sleep for 23 hours without getting any headache. That’s my talent! haha.. When insomnia attacks, I would usually ask my brother to play a song in his music player or in YouTube so that I can fall asleep. So dear husband if you see me having trouble sleeping just hum me to sleep, alright? 7. I have a weird taste buds. I’m not a healthy eater, but I love ampalayas and fried frogs. I can’t eat green mangoes without sugars and apples without salt. Weird? Yes it is. I am also addicted to scrambled eggs, but I’m taming my tongue with that already. There are lots of food that I do not eat because my taste buds doesn’t like it, so before you cook for me dear husband, ask first if I can eat those food but anyway thanks for the effort. 8. I’m a coffee addict. I can have 4 to 5 cups of coffee a day whether that is brewed, cappuccino, or frappe. Starbucks or Nescafe, as long as it is coffee, that is fine. Smokers smells smoke when they talk, but not for me, I sometimes smell like a brewing machine. haha.. I love coffee even though it gives me palpitations at times. 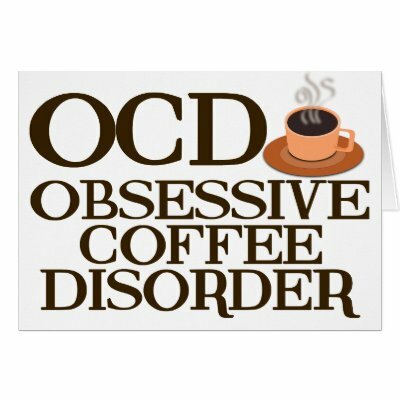 So dear hubby, stop me when I attempt to drink my 6th cup, for studies shows that 6 cups of coffee a day leads to hallucinations already.. haha..
9. I vowed to leave the metro once a month. I love the seas, the skies, the clouds, the mountains, the trees, the greens.. the nature and the things I don’t and can’t see in Metro Manila every day, so I vowed to leave the city once in a month to travel and appreciate nature. I’m not Dora the Explorer though I feel like her at times, yet I just love to give my eyes the best view to see and admire. Dear Hubby, you can travel with me or stay at home, and by the way, I also hike mountains and dive seas, so if you can’t take the fact that your wife is adventurous as Lara Croft, don’t dare ask for my hand.. haha..
10. I vowed to read 1 book a month and watch a movie in the cinemas every month. For almost 2 years, I’ve been going to the cinemas alone, but I never felt lonely for I know someday you (dear hubby) will seat and watch beside me soon and share with me my favorite cheese popcorn, but please don’t bother me when I’m watching or else I’ll watch alone again.. haha..
I’m a self-confessed bookworm, and I treasure books than food. So, at night times that you see me reading or when we are traveling, please don’t deprive me with my ME time or else I’ll use my Muai Thai skills with you. haha.. There are more than 10 reasons that my husband can hate me, but I believe that he is a man who can accept me no matter how childish, primitive, weakly and adventurous I can be. I’m writing this while I am still single with no plans of getting married yet, and after finishing this, I’m still not willing to let go of these things making me say, “I’m not yet ready for a husband.” The time will come that I’ll be surrendering myself to someone; someone who will accept me for who I was, am and will be. I may not do these 10 not-so-gruesome things about me someday, but one thing I am sure of, I won’t change for any man but I’ll change for a better me.